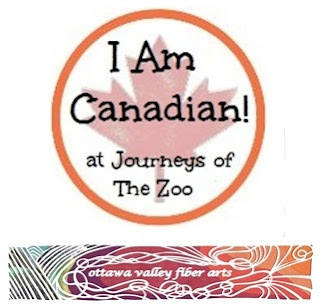 Ottawa Valley Fiber Arts: OVFA is sponsoring a Sister! OVFA is sponsoring a Sister! On nights when my husband travels, both of my young kids pile into bed with me and we have a little ritual. When the lights are out, I ask them "Think of one thing you are grateful for." I am trying to show them how important it is to reflect on our lives and give thanks for all that we have. Making time in my daily life to give thanks has made me a happier, and better person. Not everyone on our earth is as lucky as I am. In fact, I suspect I am among the luckiest for many, many reasons. I'm not well enough to volunteer my time any more, so I've been looking for other ways to share the goodness that is within my life. I recently read a story about a woman who started sponsoring someone through Women for Women International. She's now publishing a cookbook to help support the organization. I thought that as a great way to have OVFA contribute to the greater good in this world, that we would sponsor a woman who is less fortunate than me. I'm excited that I've put in my initial donation and will soon be matched with a sister from Nigeria or Rwanda. $10 a month will go directly to the woman I am matched with, and $20 will go to fund programs that help educate and support women. More than 60% of graduates are saving income to invest in their future". Wow, what amazing outcomes! If you are interested in sponsoring your own sister, you can read more here at the WFWI website. Friendly fiber fanatic. Sentimental over statistics. Lives in log home. Three kids, two cats, one husband.